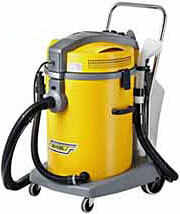 Compact model designed to clean, wash and dry every type of textile surface. Equipped with a 28 W pump, depression 0,95 l/min, pressure 4 bar. 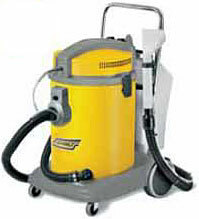 7 litres removable cleaning agent tank. Separated pump control.